To provide the military forces needed to deter and win wars and to protect the security of our country and our allies. The Department of Defense’s enduring mission is to provide combat-credible military forces needed to deter war and protect the security of our nation. The Department provides a lethal and effective Joint Force that, combined with our network of allies and partners, sustains American influence and advances shared security and prosperity. 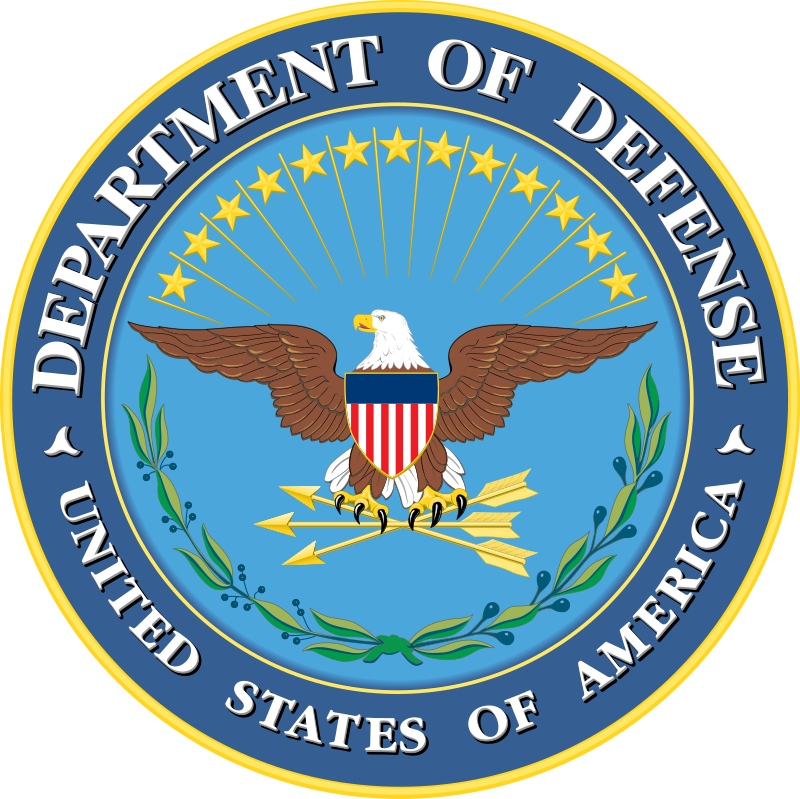 DoD is the successor agency to the National Military Establishment and was established by the National Security Act Amendments of 1949 (Public Law No. 81-216), as an executive department of the United States Government with the Secretary of Defense as its head. The DoD mission depends on our military and civilian personnel and equipment being in the right place, at the right time, with the right capabilities, and in the right quantities to protect our national interests. The mission also depends on companies, universities, alliances, partnerships, and innovators, as well as the support we receive from the American people. This has never been more important as the United States confronts a more dangerous and competitive international security environment than we have seen in decades. The Department’s scope of responsibility includes overseeing, directing, and controlling the planning for and employment of global or theater-level military forces and the programs and operations essential to the defense mission. Ensure, by timely and effective military action, the security of the United States, its possessions, and vital interests. Uphold and advance the national policies and interests of the United States. The Department of Defense is the Federal Government’s largest agency and one of the most complex organizations in the world. With more than 1.3 million active duty service members, 750,000 civilian personnel, and more than 811,000 National Guard and Reserve service members, the DoD is the nation’s largest employer. These military and government civilian personnel are augmented by over 600,000 private sector employees providing services and support under contract to the Department, not to mention hundreds of thousands of other employees in the defense industrial base and their suppliers who produce the weapons systems for our military. Furthermore, more than two million military retirees and their family members receive benefits. Our military service members and civilian employees operate in every time zone and climate, and more than 450,000 of our personnel serve overseas. As one of the nation’s largest health-care providers, DoD’s TRICARE program serves approximately 9.4 million beneficiaries. The DoD, which operated with a base budget of approximately $551 billion in fiscal year (FY) 2017, executes a multibillion-dollar global supply chain and manages a 5 million-item inventory. DoD is also one of the largest holders of real estate, managing a global portfolio that consists of more than 568,000 assets (buildings and structures), located at nearly 4,800 sites worldwide, covering 27.2 million acres of property. The President of the United States of America is the Commander-in-Chief of the Armed Forces. The Secretary of Defense is the principal defense policy advisor to the President. Under the direction of the President, the Secretary exercises authority, direction, and control over the DoD. The Deputy Secretary is the second-highest ranking official in the DoD, with the power and authority to act for the Secretary and to exercise the powers of the Secretary on any and all matters for which the Secretary is authorized to act (except in limited circumstances). The Chairman of the Joint Chiefs of Staff is the principal military advisor to the President and the Secretary. Authority and control of the Armed Forces is executed through two chains of command: first, the President, through the Secretary of Defense, to the Combatant Commanders (CCDRs) for missions and forces assigned to Combatant Commands (CCMDs); and second, the President through the Secretary of Defense to the Secretaries of the Military Departments (MilDeps) for purposes other than operational direction of forces assigned to the CCMDs. The DoD maintains and uses armed forces to support and defend the Constitution and ensure security of the U.S., its possessions, and vital interests. To accomplish this mission, DoD is organized into the Office of the Secretary of Defense (OSD), Joint Chiefs of Staff, Joint Staff, DoD Office of the Inspector General (DoD IG), CCMDs, MilDeps, Defense Agencies and DoD Field Activities (DA/ DoD FAs), and other offices, agencies, activities, organizations, and commands established or designated by law, the President, or the Secretary of Defense. The Department of Defense Fourth Estate comprises organizational entities that are not part of the MilDeps or CCMDs. These include OSD, the Chairman of the Joint Chiefs of Staff, the Joint Staff, DoD IG, and DA/DoD FAs. The Joint Chiefs of Staff consist of the Chairman, the Vice Chairman, the Chief of Staff of the Army, the Chief of Naval Operations, the Chief of Staff of the Air Force, the Commandant of the Marine Corps, and the Chief of the National Guard Bureau. The Chairman of the Joint Chiefs of Staff transmits the orders of the President or the Secretary to the Combatant Commanders. The Joint Staff assists the Chairman of the Joint Chiefs of Staff in providing strategic direction of the armed forces; strategic and contingency planning; global military integration; and joint readiness, capabilities, and force development. Combatant commands accomplish assigned military missions as directed. The National Guard Bureau is a DoD joint activity. More than 811,000 people serve in the National Guard and Reserves. The MilDeps consist of the Department of the Army, the Department of the Navy (of which the U.S. Marine Corps is a component), and the Department of the Air Force. Upon a declaration of war, if Congress or the President directs, the U.S. Coast Guard operates as a Service in the Navy; otherwise, it is a component of the Department of Homeland Security. The three MilDeps, composed of the four Military Services (Army, Navy, Air Force, and Marine Corps and a fifth when including the U.S. Coast Guard), organize, staff, train, equip, and sustain America’s military forces. The MilDeps operate under the authority, direction, and control of the MilDep Secretaries. OSD is the principal staff element of the Secretary of Defense in the exercise of policy development, planning, resource management, fiscal and program evaluation, oversight, interface and exchange with other U.S. Government departments and agencies, foreign governments, and international organizations. OSD also performs oversight and management of the DAs/ DoD FAs that provide a supply or service common to multiple Military Departments or headquarters function when it is more effective, economical, or efficient to do so. The DoD IG is an independent and objective office within the Department that conducts, supervises, monitors, and initiate audits, evaluations, and investigations relating to the Department’s programs and operations. The Gears of Government Awards recognize individuals and teams across the Federal workforce whose dedication supports exceptional delivery of key outcomes for the American people, specifically around mission results, customer service, and accountable stewardship. Department of Defense award winners are listed below. Through her leadership of the IT and Business System Reform effort, identified and deployed critical staff who modernized Federal IT systems and provided efficiencies that saved taxpayers $200 million in FY2018. Eliminated unnecessary, costly, and burdensome regulations that impede the DoD’s mission. Their work reduced agency-wide regulations by approximately 25% and has already saved taxpayers $4.3 million. Made it easier and faster for DOD to use data to achieve mission outcomes. The team standardized data across 60 systems and improved data security, governance, and compliance.